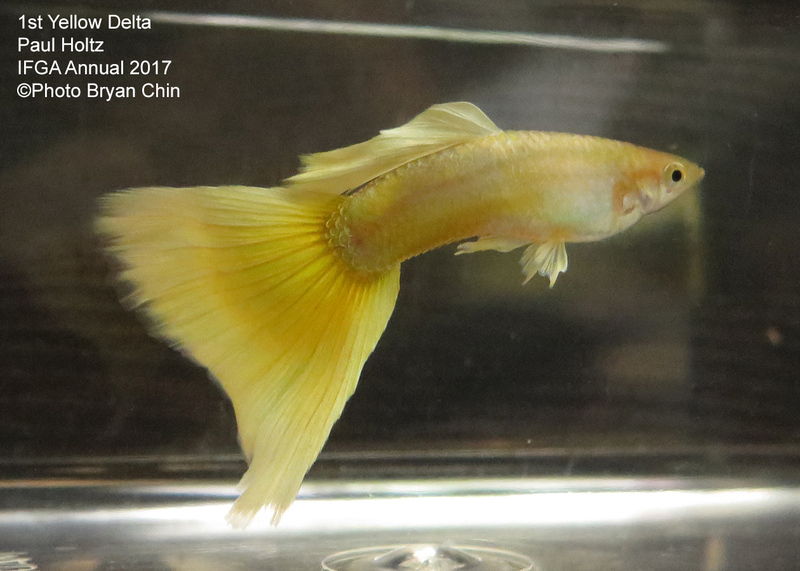 The yellow guppy is a striking fish to see on the show bench. Difficult to maintain the intense yellow color and finnage. Generally a medium size fish. 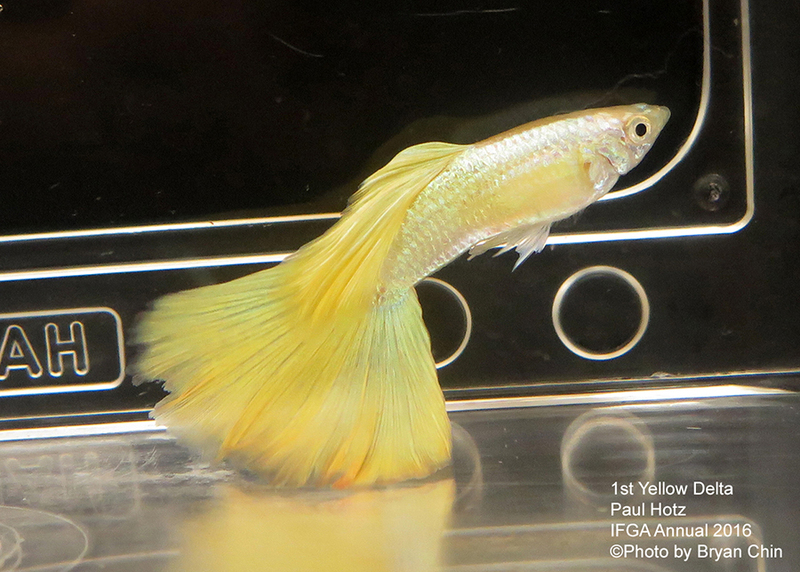 Most Yellows on the show bench are genetically blonde to reduce the black to give a cleaner looking fish. Genetically blonde with full metal traits, Mg( metal gold), and moscow traits.. This fish would be entered the yellow class. Genetically blonde with gun metal head traits. This fish would be entered the yellow class. Genetically blonde with full metal traits. This fish would be entered the yellow class.